Rock the color pink with an eye-catching awareness t-shirt like this! Perfect for your next awareness walk event or to just show your support in finding a cure for breast cancer. Our Breast Cancer Shirts are available in our 100% cotton t-shirt, machine washable in youth sizes XS-L and adult sizes S-3XL. Additional Info Shop MyWalkGear.com for all your Breast Cancer Awareness Apparel & Walk Gear. 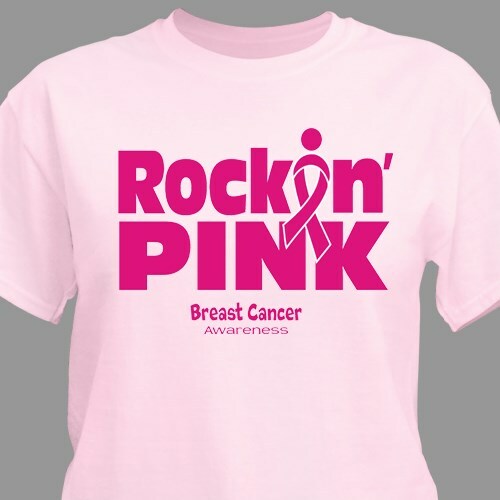 Our large collection of BCA Gear will make an excellent addition to your awareness events. Get the men also involved with our Embroidered Pink Ribbon Polo Shirt & our Engraved Hope Ribbon Key Chain as well.